What is the purpose of the crew locker? A crew locker is a great way for companies that have crews store related items for cleaning and maintenance between shifts. 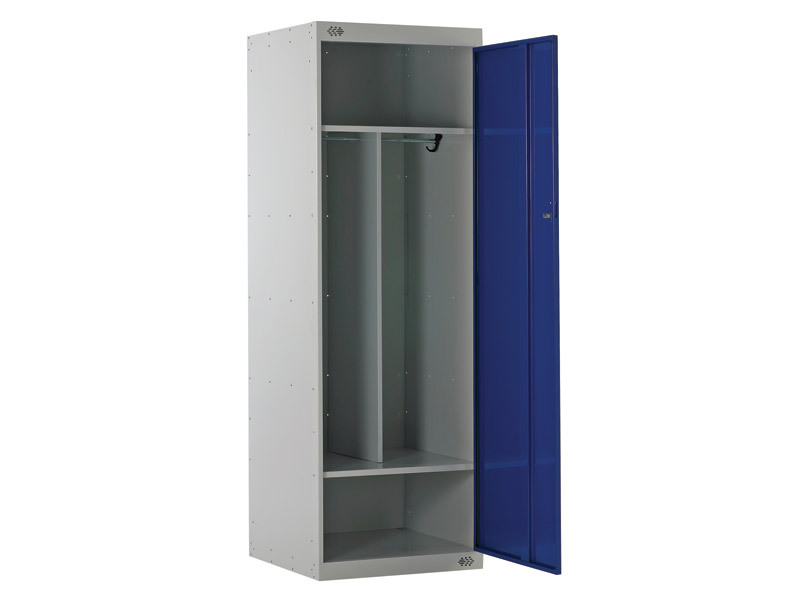 The crew locker comes with clean and dirty partitions as well as an overhead storage shelf and one at the bottom of the locker that may be used for shoes. 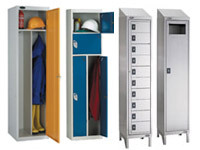 The versatility of the crew locker makes it a great investment for any company that deals with a large number of labourers. Where can the crew locker be used? Mostly, it can be used in changing rooms for labourers to encourage ease of use. After a crew has been out on a shift, having a single location for storing their dirty implements near to where their changing room is can be a convenience that shouldn't be overlooked. Having a storage location here makes for a much more efficient rotation of implements between clean and dirty as time goes by. Who might use the crew locker? 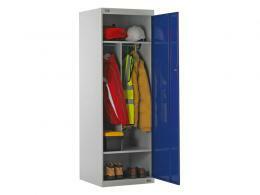 Utility companies especially have a necessity for crew locker because of the nature of work of their crews. Many utilities require crews to put in multiple shift work, and this demanding work that can sometimes end at odd hours. Having their crew locker in a centrally located position makes life easier for them and makes it more likely that they will use it to store their dirty implements so that they may be cleaned before reuse. The crew locker is extremely deep because of the amount of items it must be able to store. The dimensions are 1800mm x 600mm x 600mm. The single divider down the middle of the locker makes for an ideal natural separator for dirty and clean items. Because there may be dirty items in it, the entire assembly is coated with BioCote to stop the growth of bacteria. 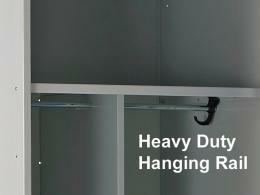 Along the top of the roof is a heavy duty hanging rail to deal with even heavy clothing and implements.